Home » Posts Tagged "Teeth"
Cavities form from having food particles left in the mouth and on the surface of your teeth. The bacteria in your mouth devour the food and a by-product of their feast is acid, which can eat a hole, or cavity, in the tooth’s enamel. 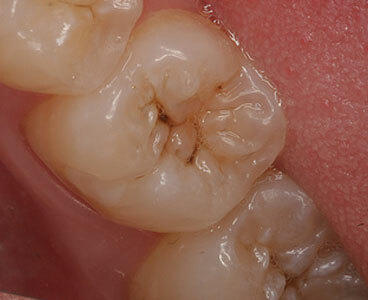 Left untreated, the cavity can cause considerable pain. It can also destroy the dentin, pulp and the tooth’s nerve. Although many kinds of food can cause cavities, foods high in processed sugar, starch and simple carbohydrates are particularly problematic because the provide the bacteria with a high-energy source. Diet, including consumption of poor food choices, plays a major role in tooth decay. For example, according to the Department of Nutrition and Food Studies, soda consumption has increased from 22.2 gallons of cola per person per year in 1970 to more than 53 gallons per person per year in 2000. It then went to 62 gallons per person as of 2005.